Aries is in charge of head and face. Also Aries is connected with kidneys and everything below the kidneys. 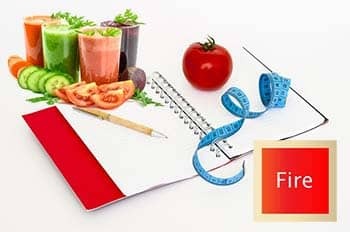 Health picture: Generating ideas and fancying are connected with our head. All Aries are wit, bold, intelligent people who are guided by a solid reasoning. Aries are especially exposed to headaches of different types. If they have overworked or are simply exhausted a headache will be a signal. They are full of energy, have excellent reaction and muscular constitution. Aries obtain special sexuality. 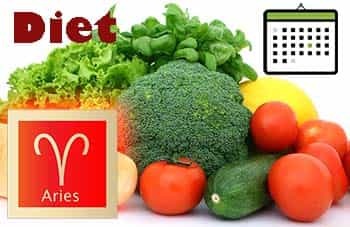 As Aries are always in a flow of events, projects and have bunch of things to do, they need well-planned diet to have enough energy for everything. Aries' biochemical cell salt is potassium phosphate. Eating tips: Shortage of potassium may be a reason of depression. 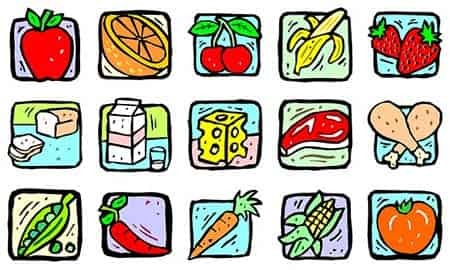 Foods that contain this precious for Aries mineral are: green beans, cauliflower, nuts, dried fruits like plums and apricots, bobs, dairy, cabbage, parsley, shallot, onion, watermelon, tomatoes, potatoes, zucchini, and pumpkin. In order to have good teeth Aries need to include milk into their diet. Avoid to eat: Aries tends to excesses in alcohol and salt. A lot of salt can negatively influence skeletal and lymphatic systems. Alcohol damages liver and kidneys, so it is better to avoid it. It is needed to have a regime of proper sleep and activity. Drink more water.